Did you know that 80 percent of social media posts are dedicated to a person's immediate experiences, and that 42 percent of Facebook timelines are made up of Travel adventures. Life's story is composed of series of event - or tweets, posts and updates. Love it or hate it, Smoasting (social media boasting) is the new and powerful way to tell our stories and share life's greatest moments. Here's an infographic from photobox team that visualizes the truths about smoasting, why do we do it, and it's different types. Know your social media channel: e.g Instagram is best for stylized photos with dreamy filters, Twitter is great network for short updates and creative hashtags. 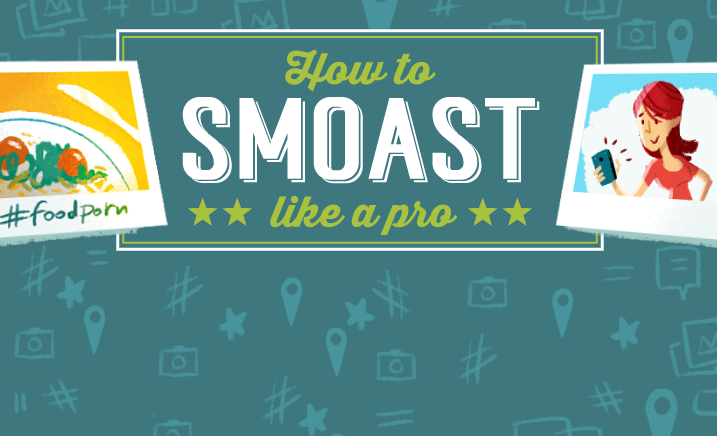 Exercise quality control: The more perfect photo, the more perfect your life will look - adding further kudos to your smoast. Celebrate the smosts of others: What goes around comes around. Like, share and comment on your friend's smoasts.